Alexander88207 abandoned D5783: Update dialog to 1.3_20190211. Alexander88207 abandoned D5845: Rebuild mesalib with llvm 8.0.0. Alexander88207 abandoned D5844: Update llvm to 8.0.0. Alexander88207 updated the diff for D5846: Update qelectrotech to 0.61. Alexander88207 added a comment to T7751: Add mesa patch to allow certain gog games to work under wine. Alexander88207 requested review of D5846: Update qelectrotech to 0.61. Alexander88207 updated the diff for D5844: Update llvm to 8.0.0. Alexander88207 requested review of D5845: Rebuild mesalib with llvm 8.0.0. Alexander88207 requested review of D5844: Update llvm to 8.0.0. Alexander88207 updated the summary of D5783: Update dialog to 1.3_20190211. Alexander88207 requested review of D5783: Update dialog to 1.3_20190211. Alexander88207 abandoned D4951: update llvm to 7.0.1. Alexander88207 requested review of D5743: Update mesalib to 19.0.0. Alexander88207 added a comment to T7532: AMDVLK (Alternative Option to RADV). Alexander88207 changed the status of T4752: 4kVideoDownloader from Resolved to Wontfix. Alexander88207 changed the status of T4752: 4kVideoDownloader from Wontfix to Resolved. Alexander88207 updated the test plan for D5381: Update Vulkan to 1.1.100. Alexander88207 requested review of D5381: Update Vulkan to 1.1.100. Alexander88207 added a child revision for D4753: Update vulkan-headers to 1.1.100: D5381: Update Vulkan to 1.1.100. Jacalz awarded D4753: Update vulkan-headers to 1.1.100 a Like token. Alexander88207 updated the summary of D4753: Update vulkan-headers to 1.1.100. Alexander88207 updated the diff for D4753: Update vulkan-headers to 1.1.100. Alexander88207 updated subscribers of T7532: AMDVLK (Alternative Option to RADV). Alexander88207 added a comment to T7494: Can not commit changes. Alexander88207 updated the task description for T7494: Can not commit changes. Herald added a project to T7494: Can not commit changes: Lacks Project. Alexander88207 added a comment to D4951: update llvm to 7.0.1. I don't know if we should continue.... The developer of dxvk wrote "LLVM 7.0.1 reportedly causes GPU hangs in various games that work fine with 7.0.0 or 8.0-svn"
Alexander88207 added a comment to T7470: Requesting Scene Builder. Alexander88207 added a comment to T7467: GCC miscompiling Mesa causing issues in other software. Alexander88207 added a comment to T7469: Include efibootmgr in live image. if i understood it right, it's mesa? and why doesn't anyone report it to mesa? Alexander88207 added a comment to T7468: Realtek rtl8821ce not supported?. Here on this page you can find the supported wifi devices. If you don't find it, you have to search the internet with your chipset name and build one yourself or better you buy a device which is in the list. Alexander88207 updated the diff for D4942: Update qtractor to 0.9.3. Alexander88207 added a comment to D4896: Update vulkan-validation-layers to 1.1.96. Alexander88207 updated the diff for D4896: Update vulkan-validation-layers to 1.1.96. Alexander88207 updated the test plan for D4951: update llvm to 7.0.1. Alexander88207 added a comment to T7458: Borderlands 2 doesn't want to start..
Alexander88207 created T7458: Borderlands 2 doesn't want to start..
Alexander88207 updated the summary of D4972: Update gtkhash to 1.2. Alexander88207 requested review of D4972: Update gtkhash to 1.2. Alexander88207 requested review of D4966: Initial commit of hevea. Alexander88207 added a comment to T7452: HEVEA. Alexander88207 added a comment to T7451: Update glibc to 2.28. Alexander88207 claimed T7451: Update glibc to 2.28. Alexander88207 added a comment to T7448: Unregress Application Dashboard / Categories fonts. looks nice :), but I think your contribution would be better kept here. Alexander88207 closed T7446: Rebuild Spotify for mp3 support as Wontfix. Alexander88207 added a comment to T7446: Rebuild Spotify for mp3 support. Alexander88207 updated the task description for T7446: Rebuild Spotify for mp3 support. Herald added a project to T7446: Rebuild Spotify for mp3 support: Lacks Project. Alexander88207 added a comment to T7443: Name, description and version number are not visible from packet etcher during search..
ok, thanks for the forwarding. Herald added a project to T7443: Name, description and version number are not visible from packet etcher during search. : Lacks Project. Alexander88207 requested review of D4951: update llvm to 7.0.1. Alexander88207 added a comment to D4942: Update qtractor to 0.9.3. Alexander88207 updated subscribers of D4942: Update qtractor to 0.9.3. Alexander88207 updated the test plan for D4942: Update qtractor to 0.9.3. 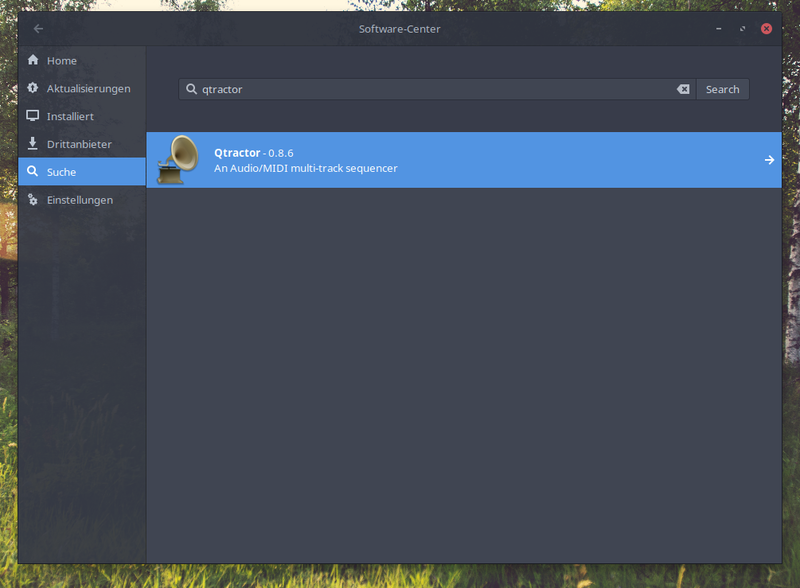 Alexander88207 requested review of D4942: Update qtractor to 0.9.3. Alexander88207 added a comment to T7435: Request for Qtractor. Alexander88207 updated the summary of D4896: Update vulkan-validation-layers to 1.1.96. Alexander88207 added a comment to D4753: Update vulkan-headers to 1.1.100. Alexander88207 updated the summary of D4752: Update Vulkan to 1.1.96. Alexander88207 updated the test plan for D4753: Update vulkan-headers to 1.1.100. Alexander88207 added a comment to D4752: Update Vulkan to 1.1.96. Need to know this has been tested against the updated deps. Thanks! Alexander88207 updated the test plan for D4896: Update vulkan-validation-layers to 1.1.96. Alexander88207 requested review of D4896: Update vulkan-validation-layers to 1.1.96. Alexander88207 added a parent revision for D4894: Update vulkan-tools to 1.1.96: D4752: Update Vulkan to 1.1.96. Alexander88207 added a child revision for D4752: Update Vulkan to 1.1.96: D4894: Update vulkan-tools to 1.1.96. Alexander88207 requested review of D4894: Update vulkan-tools to 1.1.96. Alexander88207 updated the diff for D4752: Update Vulkan to 1.1.96. Alexander88207 closed T7429: OBS-Studio doesn't work the way it should. as Resolved. Alexander88207 added a comment to T7429: OBS-Studio doesn't work the way it should..
Alexander88207 updated the task description for T7429: OBS-Studio doesn't work the way it should..
Alexander88207 added a project to T7429: OBS-Studio doesn't work the way it should. : Software. Herald added a project to T7429: OBS-Studio doesn't work the way it should. : Lacks Project. This must depends on D4753. Also vulkan-tools and vulkan-validation-layers have to be updated to the same version. Alexander88207 requested review of D4753: Update vulkan-headers to 1.1.100. Alexander88207 retitled D4752: Update Vulkan to 1.1.96 from Changelog: https://github.com/KhronosGroup/Vulkan-Docs/commit/b557dd2167a5b2c92a03a69b34ff7a4431cca7ad to Update Vulkan to 1.1.96. Alexander88207 requested review of D4752: Update Vulkan to 1.1.96.